Powering the new Mercedes-Benz E 400 Coupe is a 329-hp bi-turbo 3.0L V6 engine, which you can test out for yourself near San Diego after you contact Mercedes-Benz of El Cajon to set up a test drive! 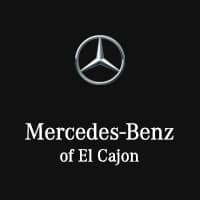 Mercedes-Benz of El Cajon is the trusted Mercedes-Benz dealership of luxury car drivers in La Mesa. Stop in and see us today to check out our fully remodeled showroom and state-of-the-art Mercedes-Benz service center. Then take advantage of our affordable financing plans and impressive selection of Certified Pre-Owned Mercedes-Benz vehicles. Stop by our dealership today to check out our current selection of new E 400 Coupes! Check out our comparison between the Mercedes-Benz E-class 400 and 300 while you’re at it!